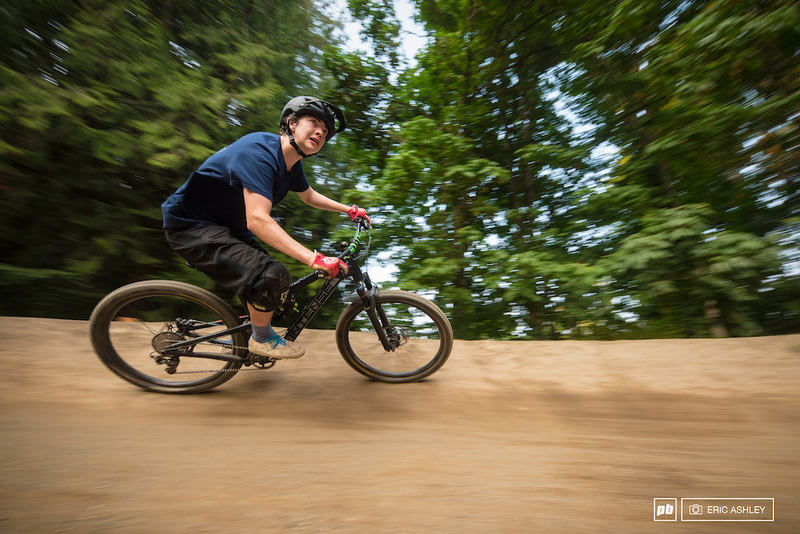 The Pacific Northwest's favorite biking destination just got better with the opening of Bellingham's first pumptrack. 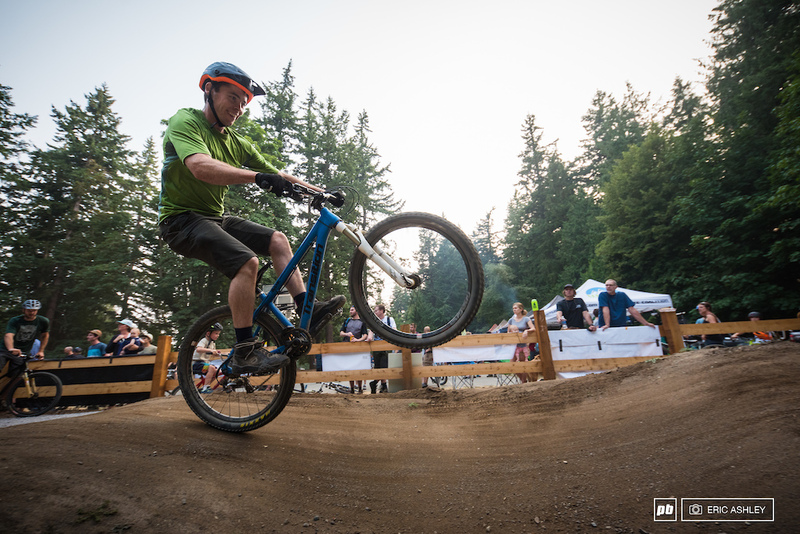 Crowds gathered Wednesday night to celebrate the ribbon cutting and, keen bikers get their tires on some fresh dirt. 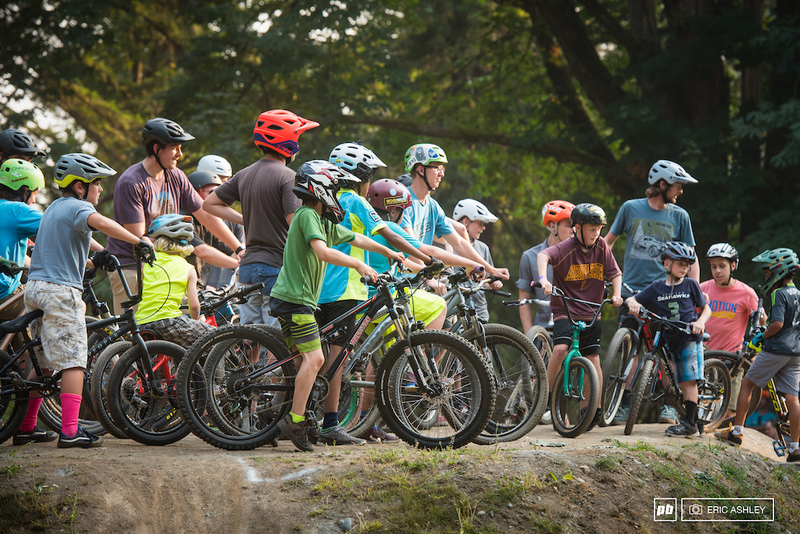 The ceremony marks the completion of a three-year process by the Whatcom Mountain Bike Coalition to build the double-ringed pumptrack and adjacent grom track. Any ribbon worth cutting needs an oversized pair of scissors to match. Whatcom Falls Park wasn't the only site considered, but the favorite local park at the footstep of Galbraith's trails is a natural fit. 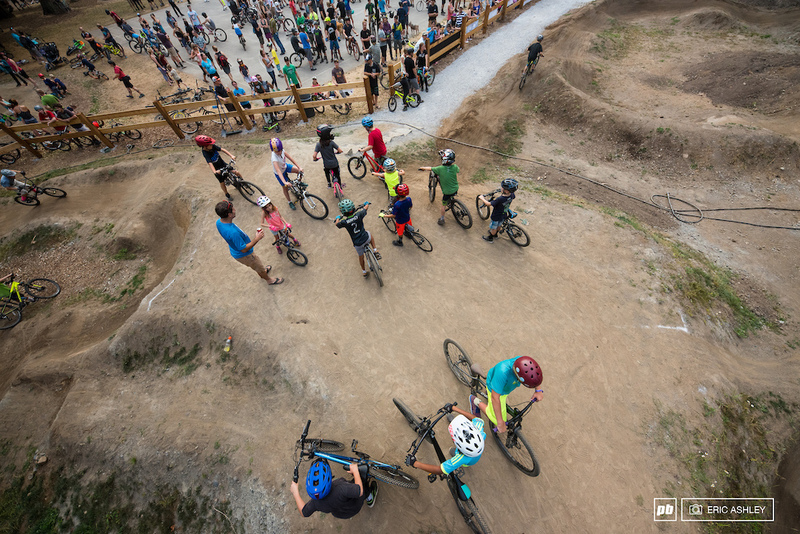 "It really is our dream spot for our first pumptrack. Everyone loves this park and it gets so much use," says the WMBC's Trail Director Eric Brown. After the site was selected, the park plan required an amendment that passed the City Council Vote 7-0 in favor. With the necessary paperwork completed the building process went ahead full steam and dirt rolled in quickly. 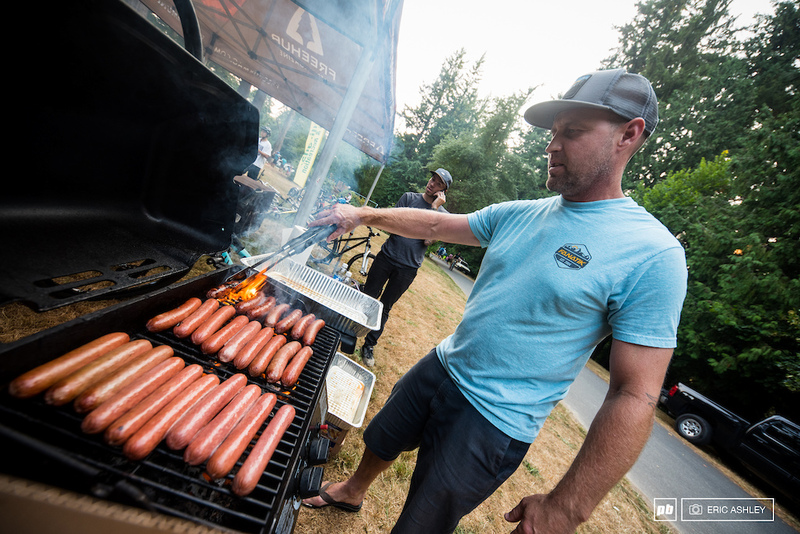 "We're in Bellingham, we have a really cool parks department and a great city council. They're all outdoor activists. They understand our desire to do stuff outdoors," shares Brown. Bellingham City Parks Director, Leslie Bryson shares her excitement on seeing the project come together. 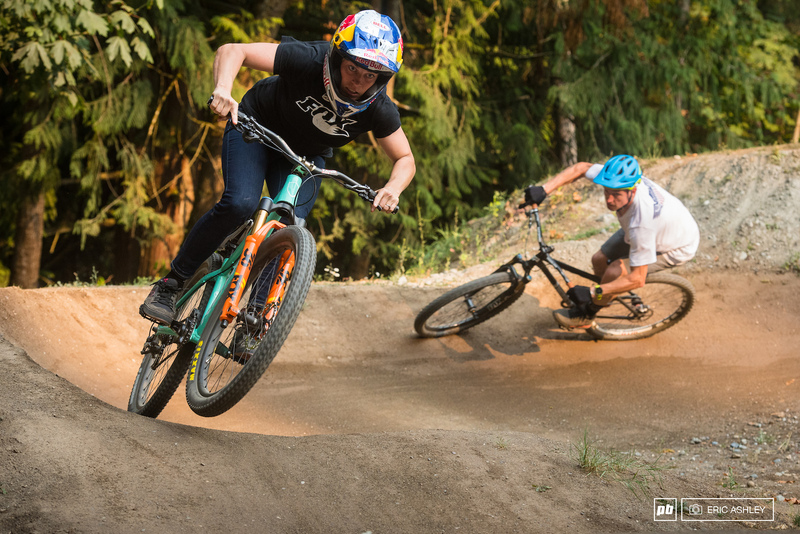 Three-time Queen of Crankworx and nine-time pumptrack champion, Jill Kintner was involved early in the process. 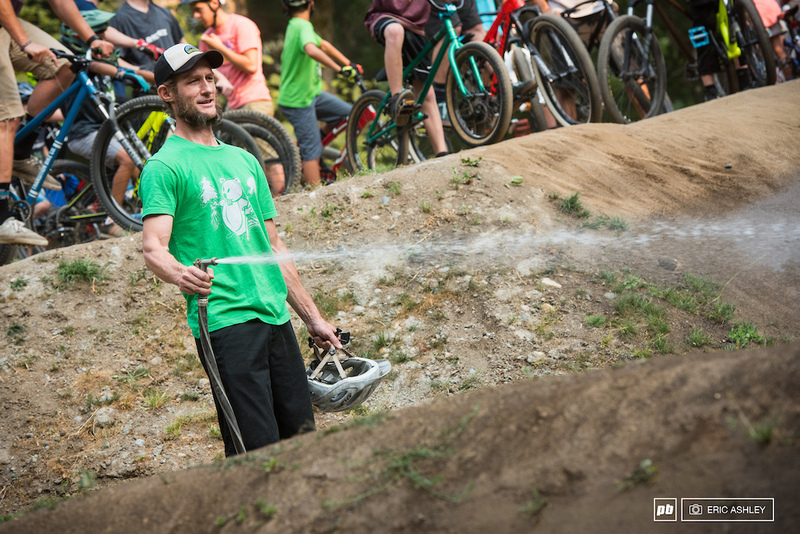 "With any pumptrack, it's all about the builder," says Kintner. "I was really adamant about getting a good builder, so we brought in Steve Wentz, Matt Thompson, and Mihai Moga of Momentum Trail Concepts. They are long time racers, really good riders, and friends of ours." The initial build came together in about two weeks after an advanced drainage system was installed. "We were here shoveling every day. It was good times. Lots of laughs" adds Kintner. 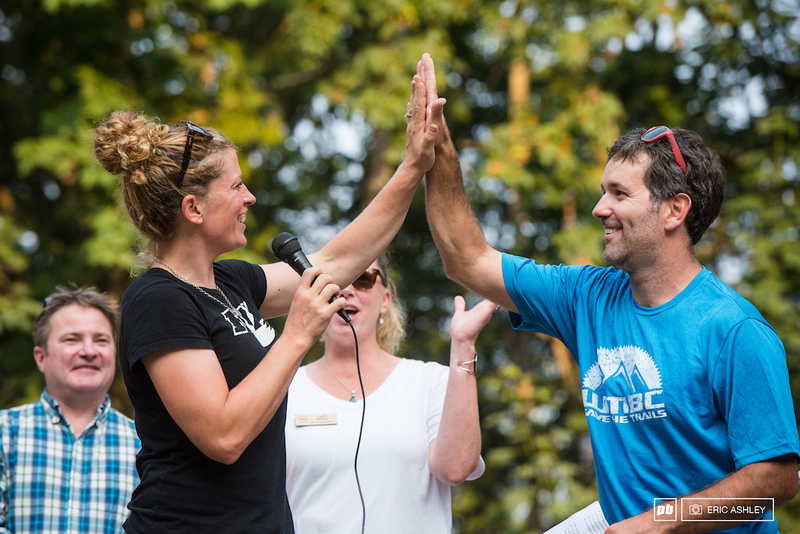 Jill Kintner and Eric Brown share a high-five during the ceremony. "Eric has been such a spearhead for this project. He's definitely the big reason this is here. Mad props to EB!" exclaims Kintner. Since then, a swarm of volunteers has lovingly been tuning, managing weeds, installing a fence, and generally making sure everything was rolling smoothly. Normally an installation of this size and caliber would come with a significant price tag. But the generous donations and support of the community brought the bottom line down to $46,000. 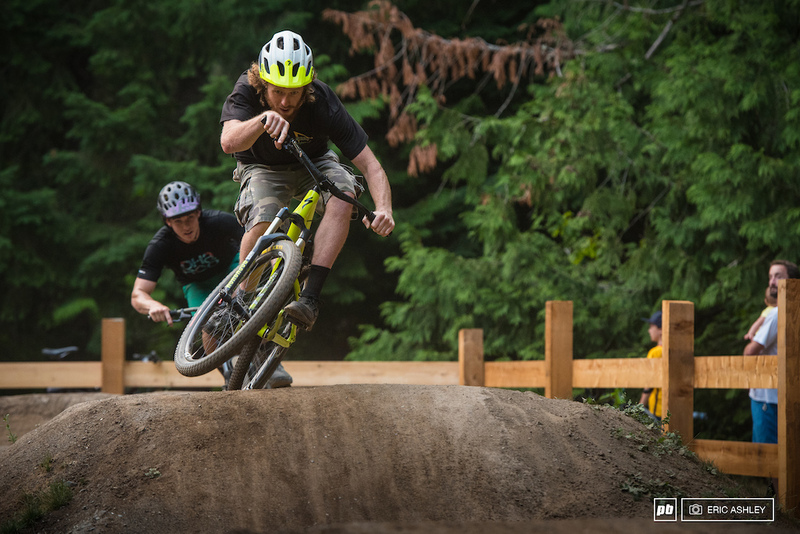 Bryn Atkinson styles for the crowds during a celebration lap. 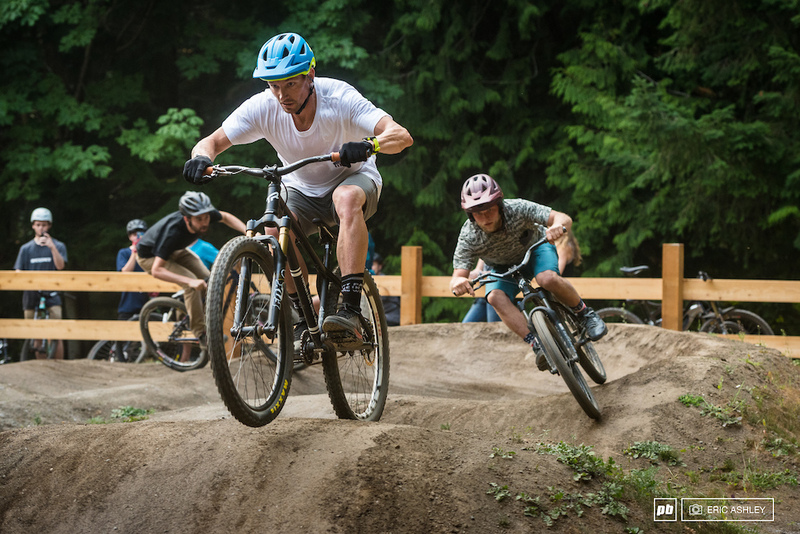 The pumptrack's high-profile location will also serve as a "proof of concept" for bikers and the general public alike. 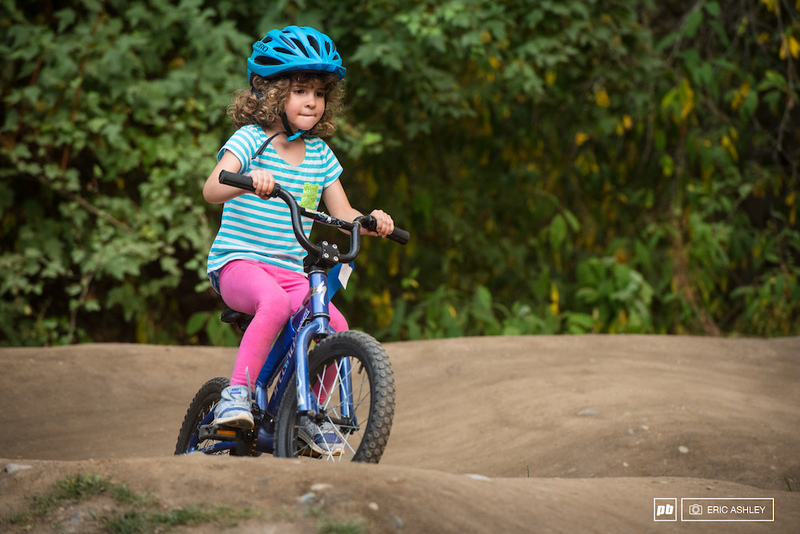 "For the next generation and for people of my generation alike, it's a skill builder that gets people introduced to biking. 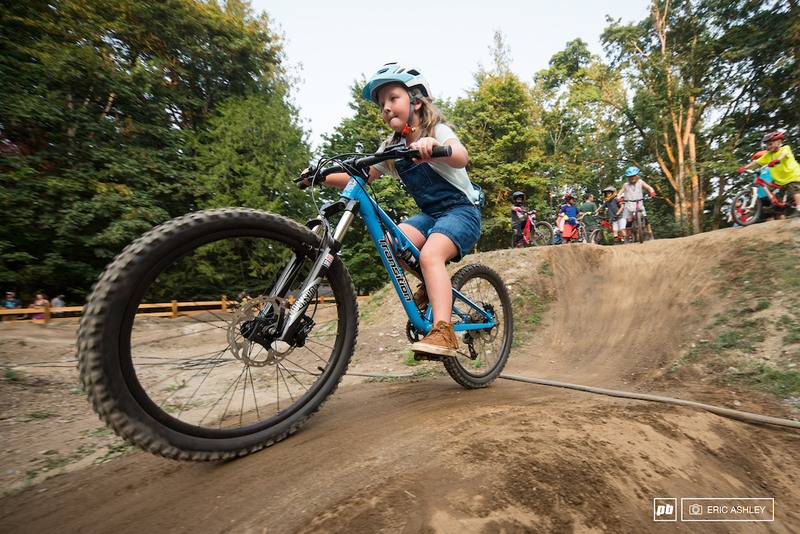 You'll see kids who are already riding and kids that can barely ride all ripping through the track soon," explains Brown about the importance of the pumptrack. 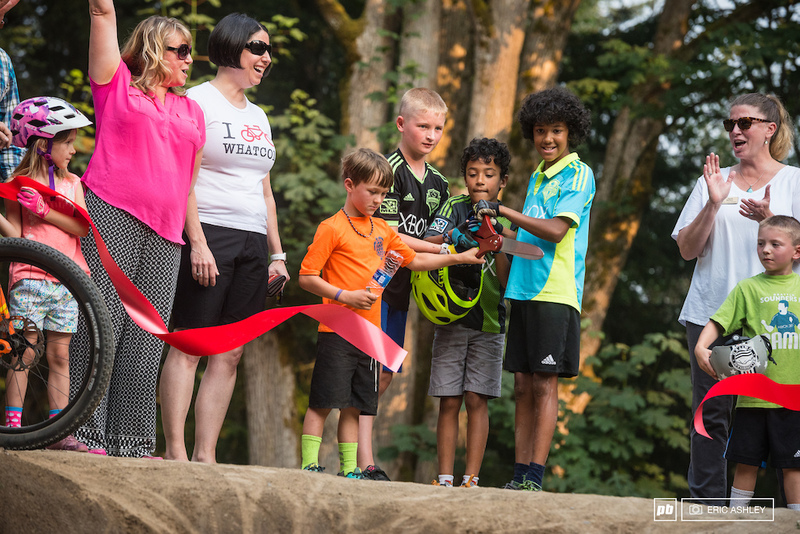 "This is the first pumptrack in Bellingham and hopefully it's the first of many!" In addition to lots of digging. Kintner became a spokesperson and advocate for the project. She also raised money through Crankbrothers for Others. 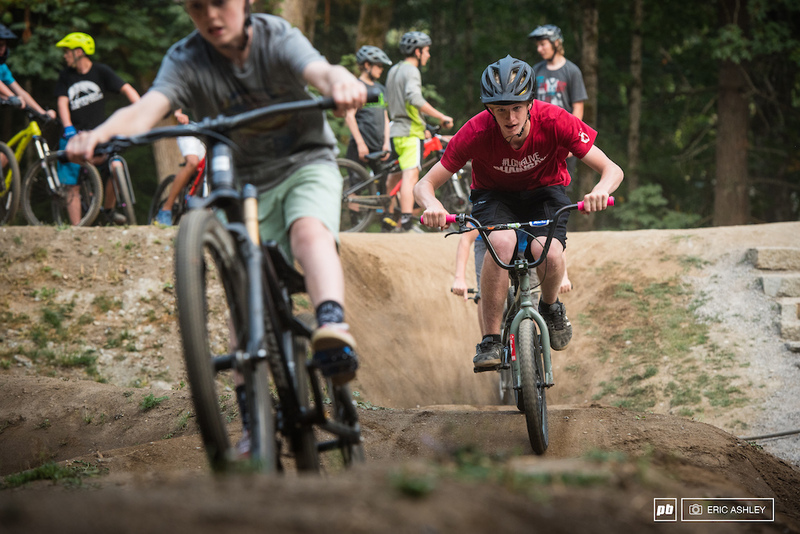 If you’d like to support the WMBC and help fund future bike parks in Bellingham and Whatcom County, you can do so at: www.wmbcmtb.org/donate. Transition Bike's LarsNBars and Kelend Hawks join the train. 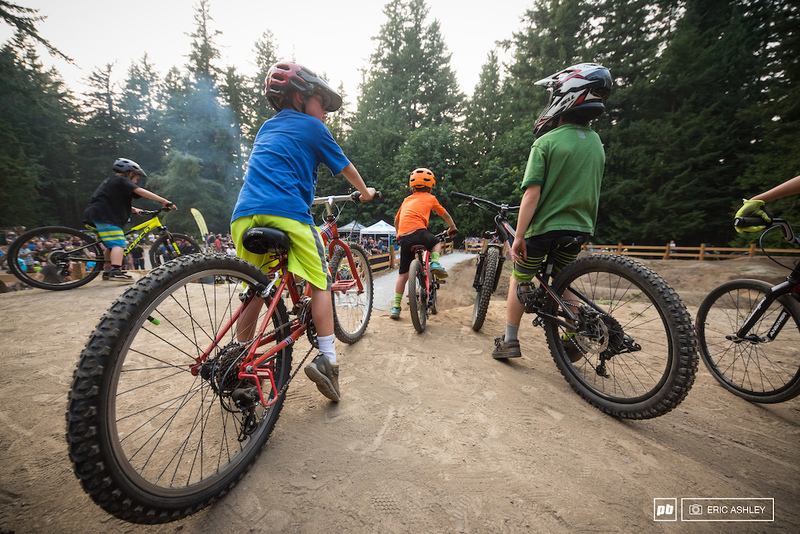 With the festivities underway, it was time for the young kids to get to riding. 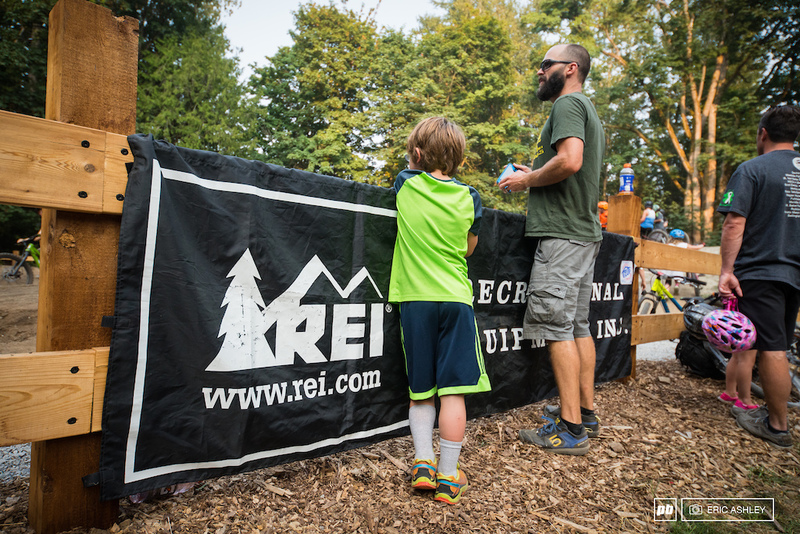 REI was one of many businesses that donated to the project. The grom track saw a lot of mileage and was definitely a big hit. 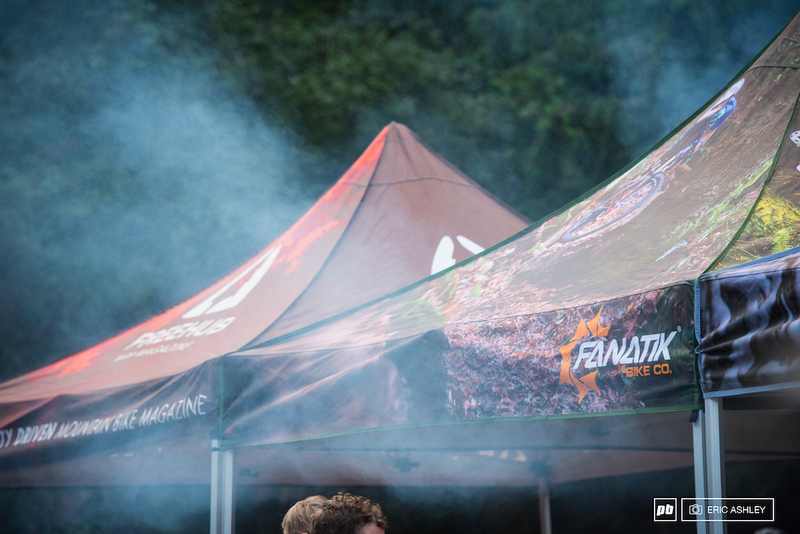 Fanatik Bike Co., long time purveyor of fine bikes, manned a mean grill for the evening. 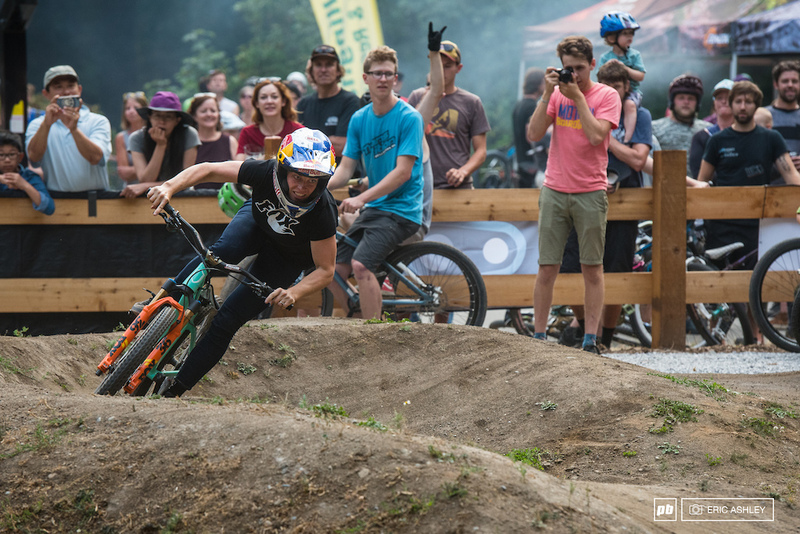 Freehub Magazine hosted a signing session with Jill Kintner and Bryn Atkinson. 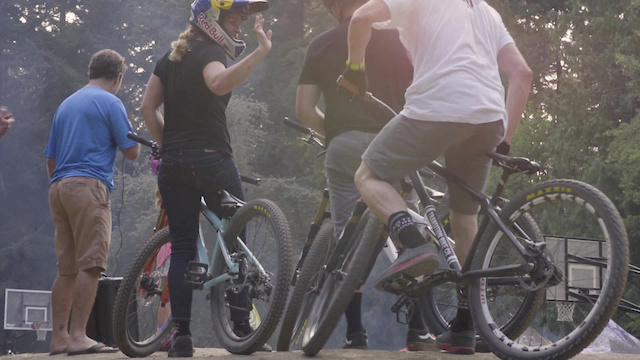 Even this large of a start-mound can get cozy when you have so many excited riders. Flying dust and rolling wheels make for a good time. Eventually, the riding broke into age groups to keep things rolling smoothly. 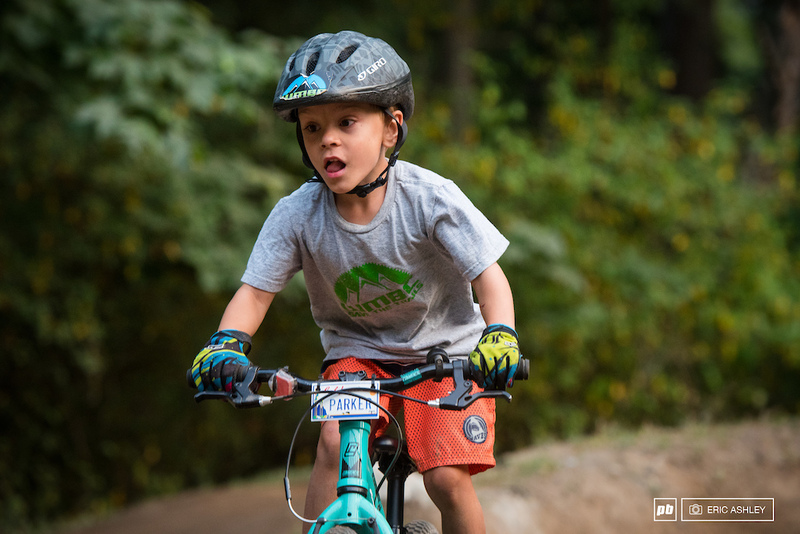 This young ripper was pretty stoked with the advanced line. 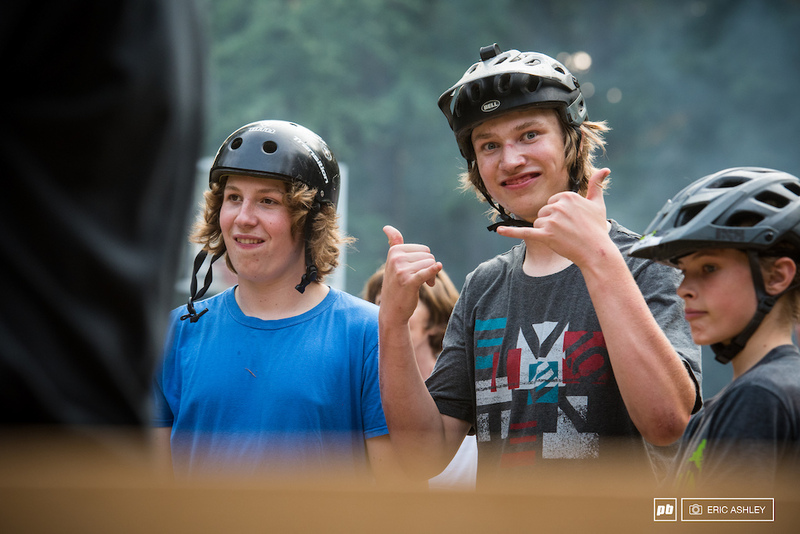 Manuals, doubles, and slides made frequent appearances as riders got warmed up. This straightaway quickly became a favorite section for tricks and doubles. 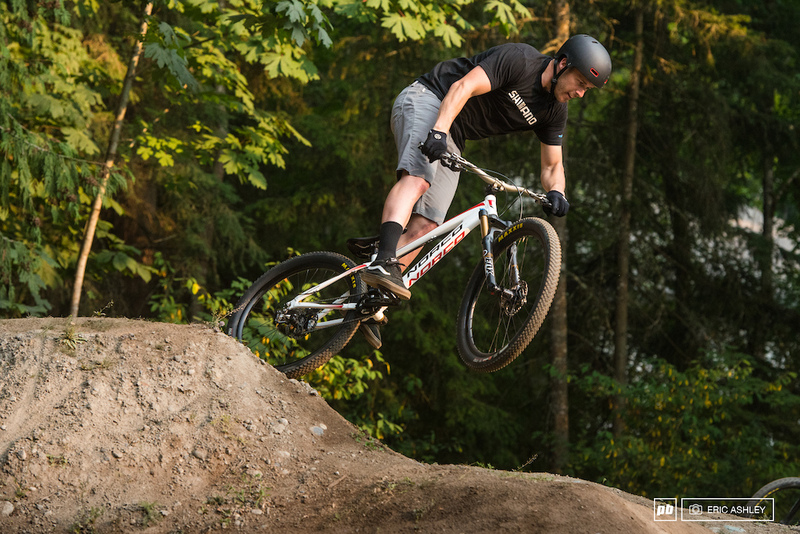 "When we first moved to this town there was no pumptrack here. Now that we have one, it's such a good program to get kids out exercising and having fun. Overall, this is a really good pumptrack. 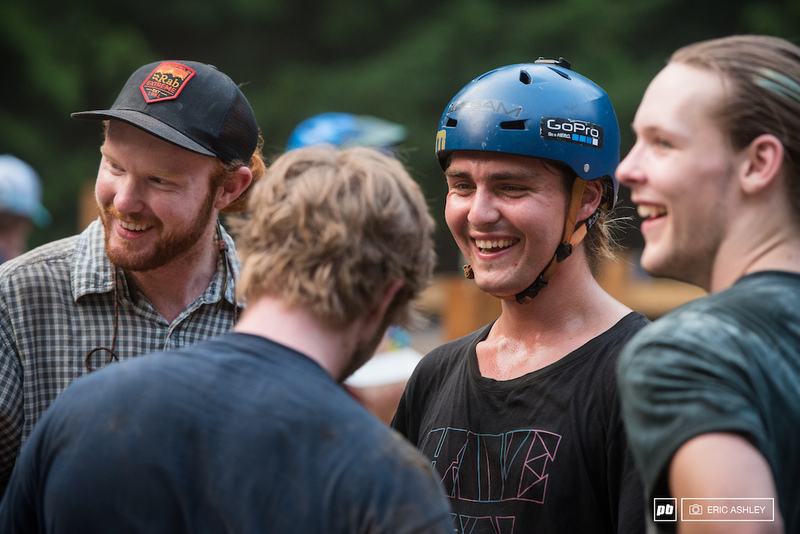 Random pros are rolling through and everyone agrees this is a great pumptrack!" Jill Kintner. So PUMPED to live in Bham! 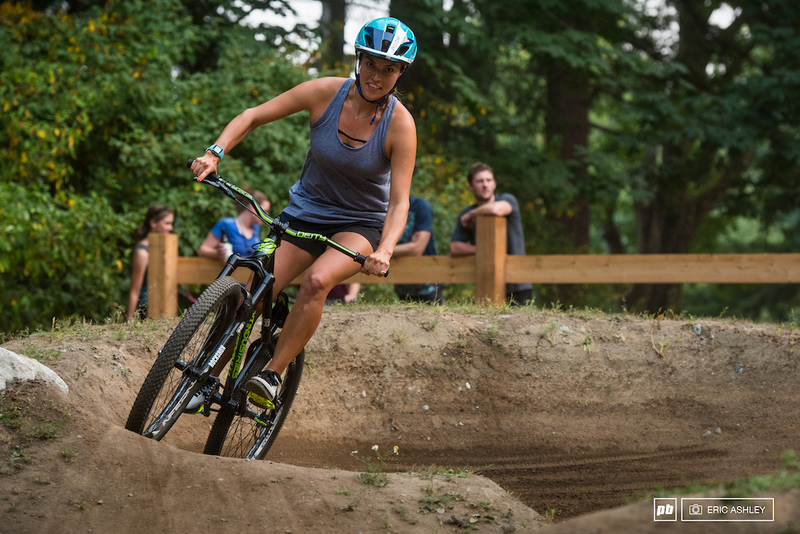 Such a rad looking Pumptrack WMBC and Jill! Nice video Skye and great photos Eric. Crushing it up North! One of the regulars at Structures Brewing was telling me about this when it was still in it's inception... Glad to see it's finally finished! Rad!!! Nice photos Eric, and nice to meet you! Stoked I made it in the article!!! Looks great EB! Nice work the crew. this should be a monthly thing!! Woohoo! So *pumped* about this!